Krush Kulesza surveys dozens of posters from Snowboy Productions' past. Photo: Ben Shanks Kindlon. ABOVE Krush Kulesza (left) and Eric Peterson at the Mt. Spokane Big Air Festival in 1997. Photo by Art Atchkinson. Krush has come a long way since then. 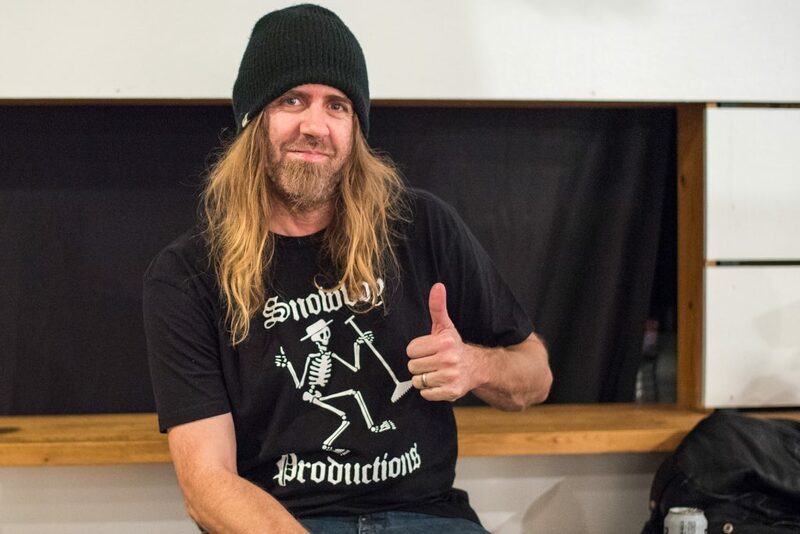 For the past two decades, he’s been collaborating with resorts, riders and brands to create some of snowboarding’s most memorable gatherings. The dozens of people who came came out to celebrate Snowboy’s 20-Year Anniversary in Seattle, WA can attest to that. With the walls of the Piranha Shop art gallery covered in hundreds of artifacts, posters and photos from Snowboy’s various events, it was hard not to feel inspired. Each piece had its own story behind it—a story of pure, communal collaboration and brainstorming being brought to fruition. “I’ve always claimed that I’m just the conduit,” Krush says. “None of us could do this by ourselves.” And while that may be true, over the past two decades Krush has proven himself to be the perfect spark plug. 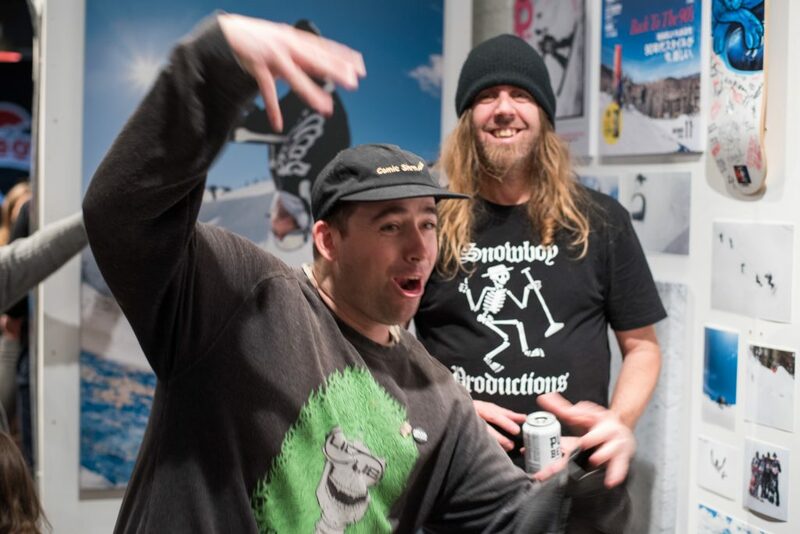 ABOVE Krush Kulesza, all smiles at the 20-year Snowboy Productions Anniversary Gallery in Seattle, WA. Photo: Ben Shanks Kindlon. 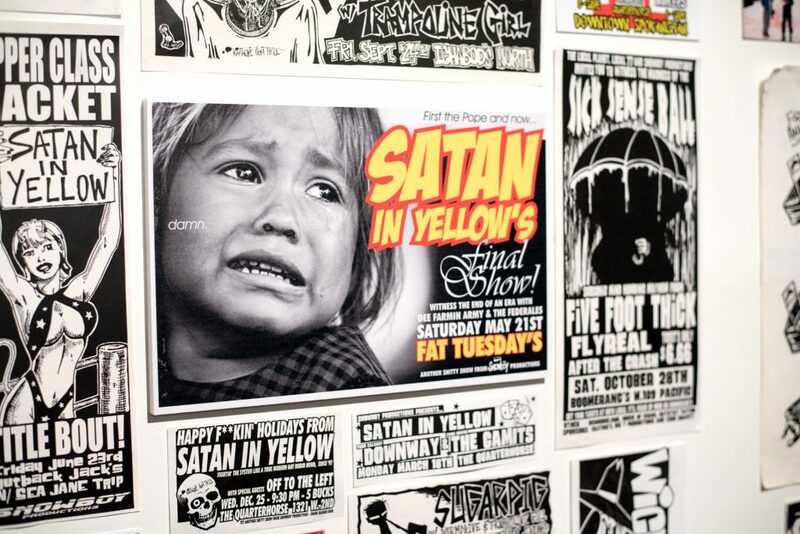 At the time Krush was also the frontman of a punk-metal band called Satan in Yellow, and he and his bandmates would regularly host shows at venues around Spokane. The Snowboy Productions tag was thrown onto their events too. By the time that Krush was asked to organize The Mt. Spokane Big Air Festival the name had stuck, and despite a rather small big-air jump the event went well. 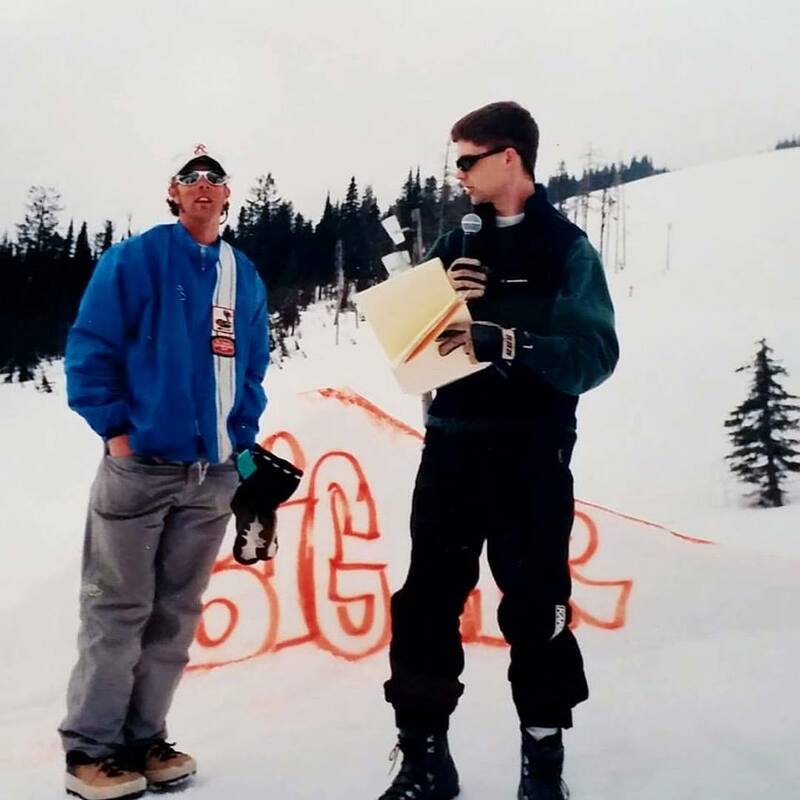 The following season, Krush was granted permission to put on two more snowboard events at Mt. Spokane. ABOVE Event posters from Snowboy Productions’ Spokane days. Satan in Yellow is the punk-metal band that Krush used to sing for. “Well, I don’t know if I would really call it singing,” he says. Among the most rambunctious Snowboy events that Krush threw in his Spokane days were on his birthdays—a series of parties known as Krush’s All-Star Summer Bash. The party for his 31st birthday was set to be the biggest yet, with more time and money invested than any bash that had come before. But while the bands showed, crowds didn’t. It was a total flop. Krush felt it was time for a change of pace. Hosting snowboard events on his own dollar was becoming too risky, and the punk-metal shows weren’t faring as well as they needed to make a living off of. “I either had to put the fork in Snowboy and get a regular job, or try to take it somewhere other than Spokane.” And Krush wasn’t about to settle for a regular job. In the early 2000s, Mervin Mfg. 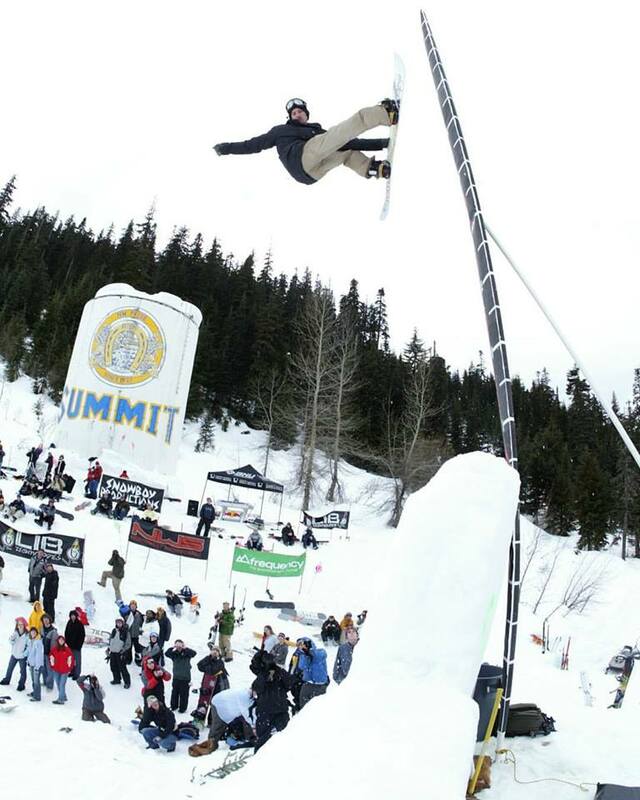 was manufacturing snowskates and The Summit at Snoqualmie was at the forefront of allowing them on the lifts. Krush says that he hit it off with the company’s founder, Pete Saari, and collaborated with him and the resort to create Snowboy’s first event at Snoqualmie: Shut Up and Snowskate. He said the resort’s backing opened his eyes to possibilities that he had only ever dreamed of before. 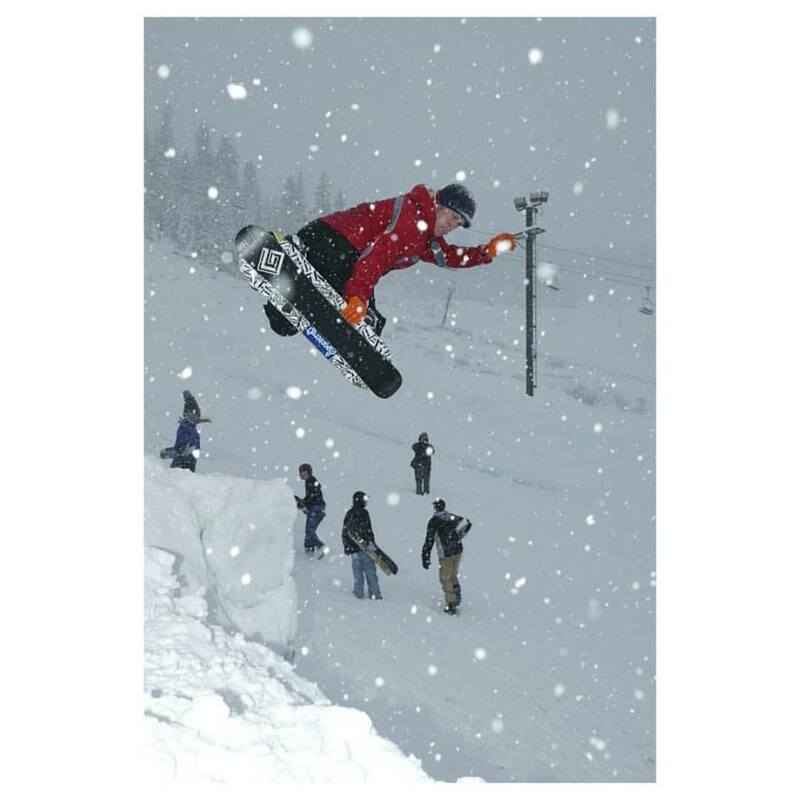 ABOVE Views from a powdery Shut Up and Snow Skate event in the early 2000s. Snowskater: Jake Tomlinson. Photo: Patrick Kennedy. ABOVE Krush Kulesza and Austin Hironaka recreate a photo from the 2010 Holy Oly Revival (zoom in to see the original). Austen won the whole thing and took home The Holiest of the Oly trophy that year. Photo: Ben Shanks Kindlon. ABOVE Peter Line at the first Holy Oly Revival in 2004. Krush and his friends repainted the Summit water tower in the same color scheme as the Olympia can that had come before it. Photo: Patrick Kennedy. Peter was fine, and the event was a hit. It was fast, loose and spontaneous. The winner of the first few Holy Oly Revivals won nothing more than a case of Olympia beer. There were no heats or divisions, and there certainly wasn’t much structure. In unprecedented fashion, groms dropped alongside pros. Everyone hiked, and everyone had fun. It went on for eight years. “The Holy Oly was an ode to the past and a nod to the future, all happening in the present,” Krush says. 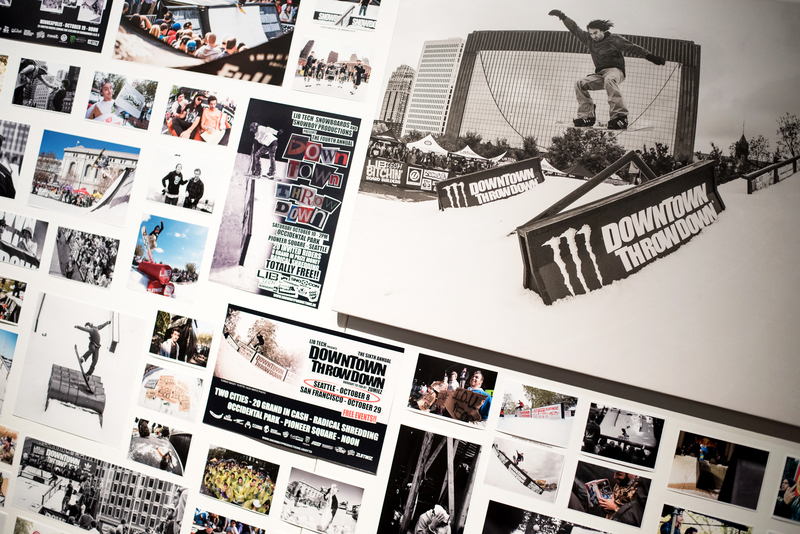 ABOVE Photos and posters from the Downtown Throwdown days. ABOVE Jesse Burtner (left) and Krush Kulesza. Photo: Ben Shanks Kindlon. Snowboy and Mervin kept the Downtown Throwdown going, expanding its reach with Throwdowns in San Francisco, CA, Minneapolis, MN and Boston, MA. 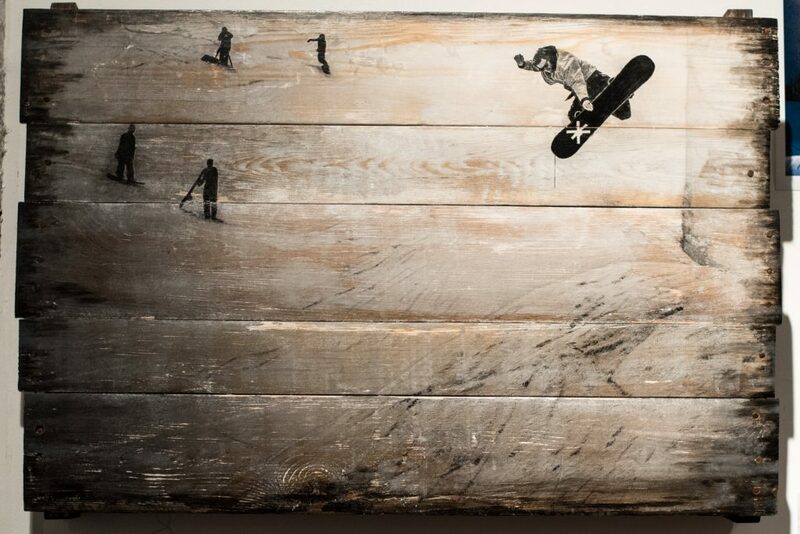 As the buzz around Snowboy grew throughout America they started hosting snowboard events at various resorts across the country—Bear Mountain, Waterville Valley, Boreal and beyond—and even started branching out into skateboarding with events like Lords of Seatown at Marginal Way Skatepark in Seattle. 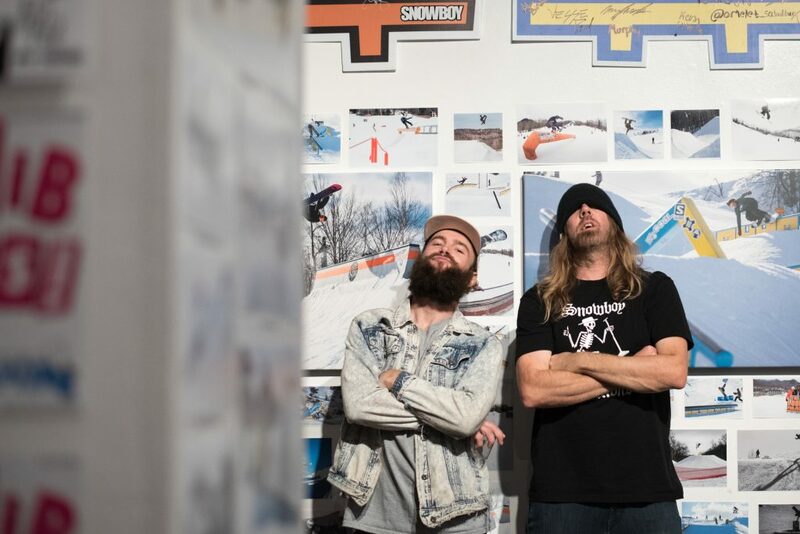 ABOVE Pika and Ollie Burtner draw inspiration from a wall dedicated to Snowboy Production’s skateboard events at the 20-year anniversary gallery in Seattle. Photo: Ben Shanks Kindlon. ABOVE “This gallery pulls in from every aspect of our culture,” Jesse Burtner says. “Nick Russian doing art for the Holy Oly Revival, Jamie Lynn doing art for the Holy Bowly, Zeachman doing art for Kinko De Mayo, Geno doing art and creating an event, Scott Stevens creating an event—all of these super-primo cultural tie-ins that the kids love, and that we love too.” Cole Taylor took this Ethan Stone of Mark “Deadlung” Edlund from the Holy Bowly and transferred it onto wood using an emulsion process. Beautiful stuff. ABOVE David McKinnon at the 2016 Holy Bowly at Mammoth Mountain, CA. Photo: Pascal Shirley. Snowboy brought the Bowly back to the States, and last year to Canada for the Holy Bowl-Eh. This upcoming season Krush plans to bring it back to Japan, and keep it circulating for as long as it stays relevant. 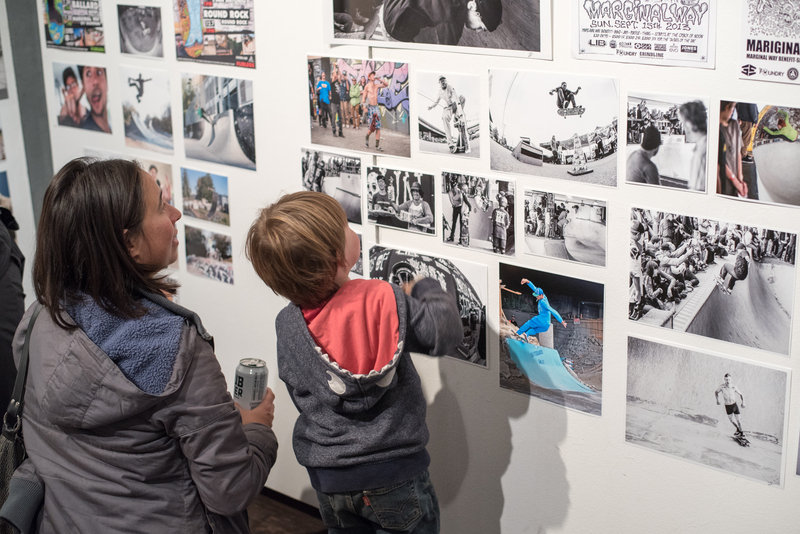 The event attracts riders of all ages and backgrounds, and has without doubt helped to define snowboarding’s current state of style over the past few years. With the success of the Holy Bowly and other Snowboy events, Krush was started to feel the ceiling again. Fortunately, change is a constant he doesn’t mind embracing. 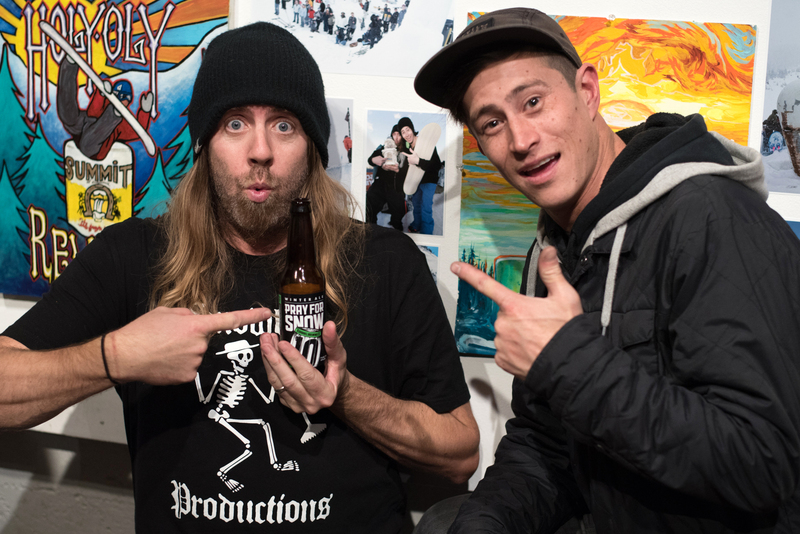 ABOVE Ryan Paul (left) and Krush in front of The Projects’ wall at the Snowboy Productions 20-year anniversary gallery in Seattle. 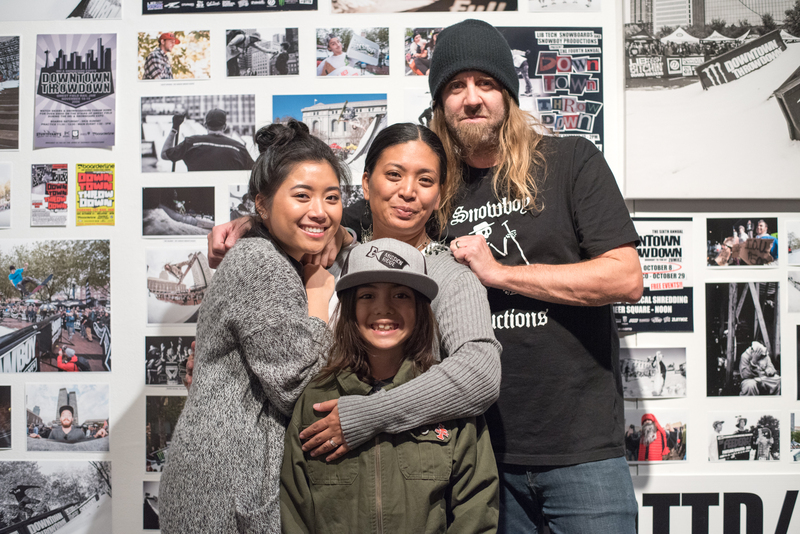 Twenty years deep, Krush feels humbled by the gratitude that snowboarders around the globe have shown for Snowboy Productions and its events. “With the timing of this 20-year anniversary, it’s been fun to look back and revisit everything. Some things we just stumbled into, other things we orchestrated, and to see how many people I’ve gotten to collaborate with over the years has been crazy,” he says. “Years ago, I just wouldn’t believe you if you told me that this is what I’d come to do for a living. ABOVE Krush and his wife, Smiley, daughter, Juliana and son, Ronin.